Additional days/times available by request. Massage therapy is a great way to relieve stress, relax sore muscles and knots, increase circulation and maintain your overall health. BodyMind Pilates massage therapists use a variety of techniques including hot stone, reflexology, craniosacral and trigger point therapy. We customize each massage session after a brief individual assessment, then offer a variety or a blend of techniques to best meet your needs. 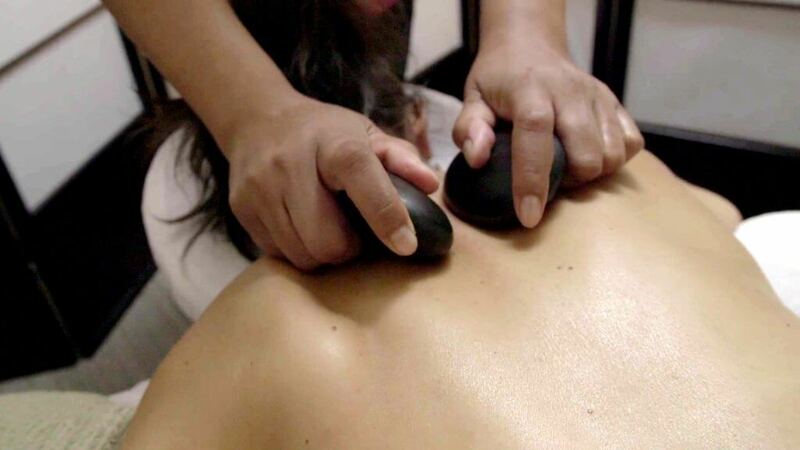 Hot Stone Massage uses water-heated stones to encourage deep relaxation. Once the stones have heated sufficiently, some are placed onto specific points on the body (such as the back, hands, etc.) and others are held by the therapist and used to work the muscles. The penetrating heat of these river stones relieves tension, stress, and tight muscles for an overall feeling of well-being. The process of reflexology is a systematic application of pressure using the thumbs and fingers to the reflex points. The applied reflex techniques of these areas produce increased circulation and balance throughout the body and specific reflexes. Reflexology alleviates stress, tension, and creates an overall feeling of wellbeing and relaxation via the nervous system. This is recognized as one of the oldest methods of healing with references in medical texts nearly 4,000 years old. Deep tissue strokes and a more gentle touch are combined to meet the clients’ needs and help ease the stress of everyday life in both body and mind. A gentle, hands-on approach that releases tensions deep in the body to relieve pain and dysfunction as well as improve whole-body health and performance. It was pioneered and developed by Osteopathic Physician John E. Upledger after years of clinical testing and research at Michigan State University where he served as professor of biomechanics. Craniosacral Therapy is beneficial for a wide variety of dysfunctions, such as, chronic neck and back pain , T.M.J. , Headaches, Migraines, Stress, tension, Fibromyalgia, and chronic fatigue to name a few. Few structures have as much influence over the body’s ability to function properly as the brain and spinal cord that make up the central nervous system. And, the central nervous system is heavily influenced by the craniosacral system , the membranes and fluid that surround, protect and nourish the brain and spinal cord. Massage modality that helps relieve pain, reduce stress and focus on a specific problem. Will focus on locating and releasing painful, tight, “knotted” muscle contractions also known as trigger points.